I’m not sure off the top of my head how many Franco-Portuguese soap operas Netflix possesses, but I wonder if there is a gap in their market for a dramatisation of the toxic feud between Paul Pogba and José Mourinho which damaged Manchester United’s early season and plunged their campaign into virtually irreparable depths. That was until Ole Gunnar Solskjaer took to the wheel, of course. 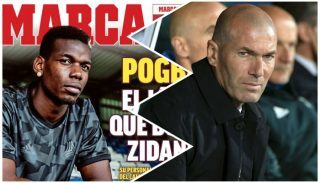 Only Messrs Pogba and Mourinho will know the full details of their public stand-off, but all the current rosiness is still somewhat stained by what transpired since the World Cup. Whilst the brunt of the blame rightfully lands in Mourinho’s lap, I do not condone Pogba’s behaviour in some very cryptic, open messages delivered through his notorious agent and suboptimal performances. I just wanted to make that point clear before accusations of hypocrisy were sent my way when lavishing due praise on a man who I have previously lambasted. For those familiar with my work, I have been known in the past to, in hindsight hyperbolically, have no objections against Pogba leaving the club. For me, perhaps too idealistically, performances should stem from an inherent honour and personal pride, especially as an academy graduate. Instead, I thought Pogba, as well as notable others, did not do our great badge justice in times where we desperately needed someone to reverse our inexplicable slide. 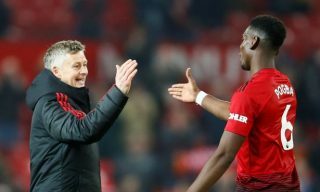 The results speak for themselves now under Solskjaer, no-one has benefitted more than Pogba and I cannot deny he is doing the badge justice now. Of course, United are in a much more prosperous place now and that is in no small part down to the form of a French midfielder playing his best football in a United shirt. There was always scope for the signing of Paul Pogba, back in 2016, to hold significant commercial potential. What we are witnessing currently though is footballing potential in equal measure. I put it to you that there is certainly no better in-form midfielder in the league as it stands than Pogba. It is hardly rocket science to any football observer that the key to unlocking potential in any player is through individual man management, coaxing the best out of them and knowing what makes them purr. To give Solskjaer more credit, he has not banned the extravagance to his game that cost United goals in home matches against Wolves and Everton earlier in the season, more emphasised to do it in the opponent’s danger area, not ours. 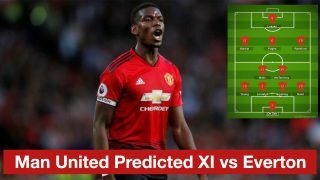 Pogba has been liberated, turned into a box-to-box midfielder who delivers in goals and is the epitome of a grander revival for the club as a whole. He is now making runs into the box late, something which has stemmed from two critical factors: confidence and the shield offered by Nemanja Matic and Ander Herrera. Pogba was a pale imitation of his destructive super-being today when asked to do defensive duties in a two besides Matic, who has suddenly looked far less leggy. 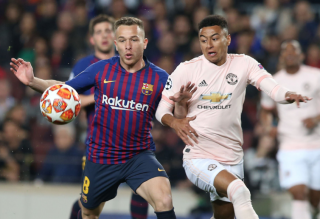 The end result has been the number one player directly involved in United’s goals since the masterstroke of employing Solskjaer. He, sorry they, really do have the midas touch and you would not put it past them to mastermind a memorable victory over PSG on Tuesday, which was barely even a feasible consideration when the draw was made with Mourinho still in charge. 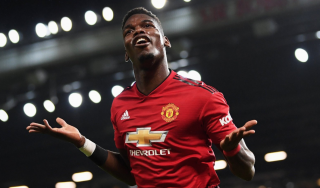 Pogba cannot be absolved of blame for his part in Mourinho’s sacking but, saying it quietly, he now cannot be ruled out of the captaincy role which he was so famously stripped of earlier in the season, provided he can star in games such as PSG, Liverpool and City at home in the coming weeks. He is a player at the peak of his powers and this is what we all envisaged when he re-joined the club: Putting in match defining, world-class performances for the club which holds a deep place in his heart. Long may it continue too. 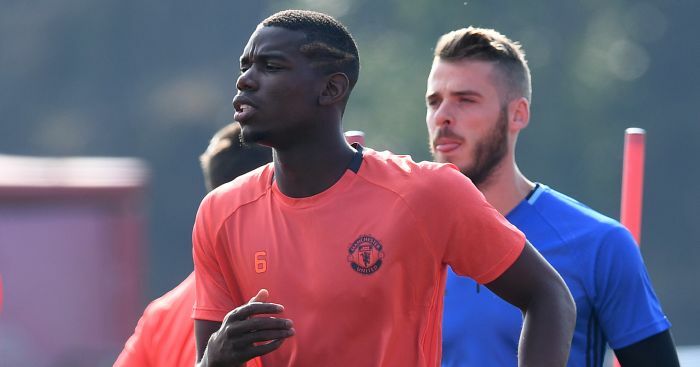 One thing is for sure, it’s been an amazing turnaround from being the so-called ‘virus’ to genius for Paul Pogba.